Looking for a New MINI Countryman Plug-in Hybrid in your area? CarGurus has 134 nationwide MINI Countryman Plug-in Hybrid dealers with 931 new car listings. MINI’s first gas-electric hybrid is the largest and most innovative Cooper yet. In their physical operation and everyday practicality, plug-in hybrids are head-scratchers. So are MINI Coopers, which are a personality cult of quirky, offbeat designs. The two have finally met in the form of the four-door, all-wheel-drive MINI Countryman that was redesigned for 2017. Operating the E Countryman All4 poses significant advantages as well as glaring disadvantages. We plugged in, filled the tank, and plugged in some more. Can an expensive hybrid with limited electric range make sense, even though as a MINI, it shouldn’t need to? Well, it's complicated. MINI’s cuteness is undeniable. 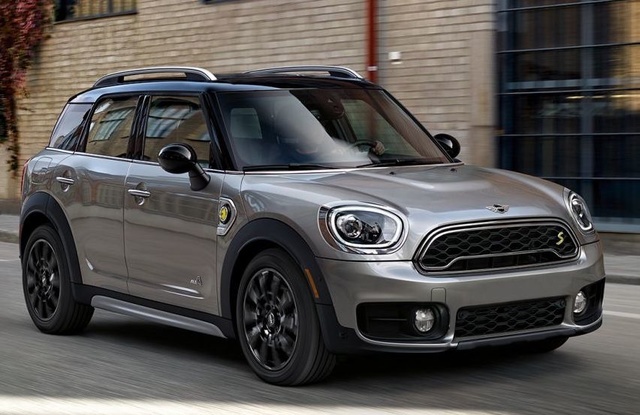 While taller and larger than the four-door Cooper Clubman and Cooper Hardtop, the Countryman plays off the same retro-modern styling theme that’s been so successful for MINI since its reincarnation under the BMW Group in 2002. The headlights morph from oval to ovoid, cargo rails bolt to the rounded, bubbled roof, and the plastic, contrasting fenders and raised ride height put the Countryman in crossover territory. But the happy fascia, slab-sided body panels, and 18-inch wheels crammed to the body’s outer edges confirm the Countryman’s iconic British lineage (though it shares a platform with the BMW X1 and X2). Melting Silver Metallic paint and polished black wheels gave our car a dressy appearance, but MINI offers brighter colors, stickers, interior trim, and Union Jack decals for your inner artist. The hybrid’s only cues are yellow “S” badges and “E” graphics shaped like an electrical plug on the hatch and front fenders, one of which cleverly conceals the charging port. Raise the hood and you’ll see two big holes for the headlights surrounded in chrome. When shut, it aligns perfectly flush and allows the hood's cut line to drop below the lights for an uninterrupted, seamless look. This is expensive to make, and it’s just one of this MINI’s many details demonstrating its build quality. Shut the doors—they all slam with a damped precision like BMWs—and you’re treated to buttons, gauges, and switches that are all unique to MINI. The controls on a Maserati are pulled out of a Chrysler. 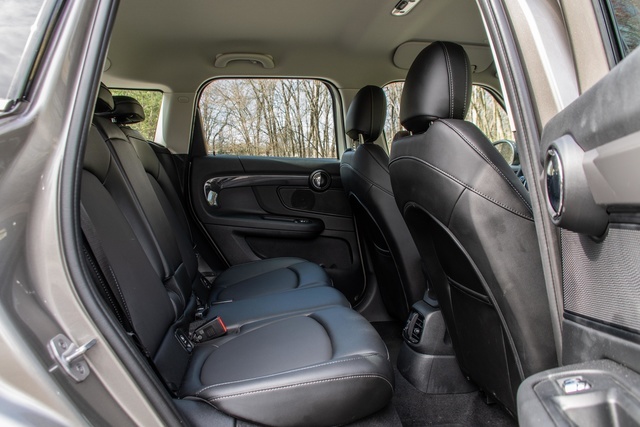 MINI took the effort to make the Countryman’s interior feel special. Chrome rocker switches with looped metal separators control the map lights up top and various driving features toward the bottom of the center stack, which is one enormous circle with a glowing LED. Even the ignition is a yellow toggle switch. The small instrument panel tilts with the steering column. A large ring around the shifter adjusts the driving modes. Tartan-patterned rubber mats for the glovebox and a storage bin are illuminated, as are the lower door panels and door handles. Material quality, fit, and finish are impressive. MINIs aren’t cheap, but at least they don’t feel that way. 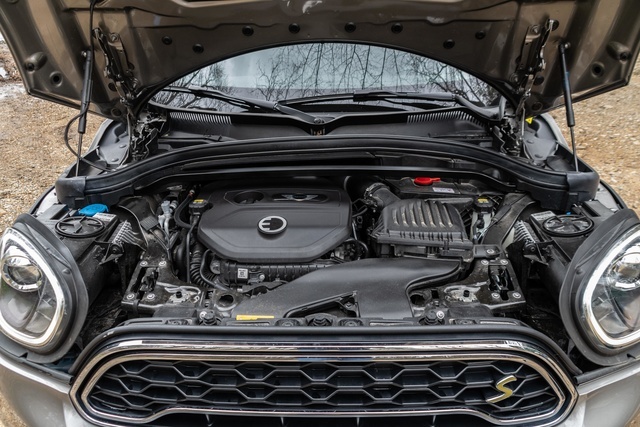 A 1.5-liter turbocharged inline 3-cylinder is the Countryman’s standard engine, with 134 horsepower and 162 pound-feet of torque sent to the front wheels through a 6-speed automatic. In the E Countryman, that’s only half the car's motivation. An 87-hp electric motor directly drives the rear axle. Both engine and motor can work in tandem, for a maximum of 221 hp and 284 lb-ft to all four wheels (that’s 7 hp less than the John Cooper Works—the most expensive Countryman trim—but 26 lb-ft more torque). The E Countryman’s handling is lively, and its steering has that familiar, quick-reacting feel of all MINIs. This is a fun car to push around, and its 295 extra pounds (versus an automatic Cooper S Countryman All4) are mounted low in the car, which helps keep the E Countryman poised and balanced. Only the brakes are inconsistent at lower speeds. As the regenerative braking system does a hand-off to the conventional discs—the way many hybrids recharge the battery while in motion—it can feel jerky at times. Like a normal hybrid, the E Countryman fluctuates between gas and electric power or any combination of the two. Yet this complex powertrain juggles the power so seamlessly and fluidly that you’d never guess it included a 7.6-kilowatt-hour lithium-ion battery under the rear floor. It just feels quick and entertaining. The engine never shudders when it fires up under hard acceleration or when the battery is too drained. Aside from digitized noise emanating from exterior speakers—to comply with a pending federal requirement that electric vehicles make a minimum sound level—the E Countryman is smooth and silent. Being gentle (but not too gentle) with the throttle let me reach 70 mph in full-EV mode. Two modes can extend EV operation by restricting power (Max eDrive) or run the engine to keep the battery’s state of charge at 90 percent (Save eDrive). The default setting is best. And when there’s a destination in the nav system, the E Countryman monitors the route to optimize efficiency. It accounts for traffic, speed limits, elevation, and other road conditions and adjusts on the fly. The EPA’s estimated electric range is 12 miles, but the car indicated 19 miles after a full charge (which takes about two to three hours on a 240-volt Level 2 connection, or between six and eight hours on a 120-volt household outlet). I was able to hit about 15 or so miles on a warm day without the air conditioning running. But with the heater and defroster firing away on a 40-degree day, I drained nearly half the battery after 4 miles. Unless you live in sunny Southern California, there’s no way to predict the E Countryman’s range with any reliability. During my entire week, I averaged 40 mpg. That sounds great, except that doesn’t include 47 kWh of electricity it consumed (equivalent to 1.4 gallons of gasoline), which lowered my final average to 32 mpg. With the battery completely drained, I saw 28 mpg on a 70-mile highway drive. These are fine numbers, but nothing stellar next to ordinary hybrids or any number of gas-only compact crossovers, hatches, and sedans. Then you’ll soon face the 9.5-gallon gas tank that’s 41 percent smaller than a regular Countryman’s. The EPA estimates total range at just 270 miles, while an automatic Cooper S Countryman All4 can reach 419. If you don’t recharge daily, this will be a problem. But despite all that, it’s worth repeating: The E Countryman’s nearly perfect hybrid operation never interferes with its sporty character. Few hybrids deliver that kind of performance. 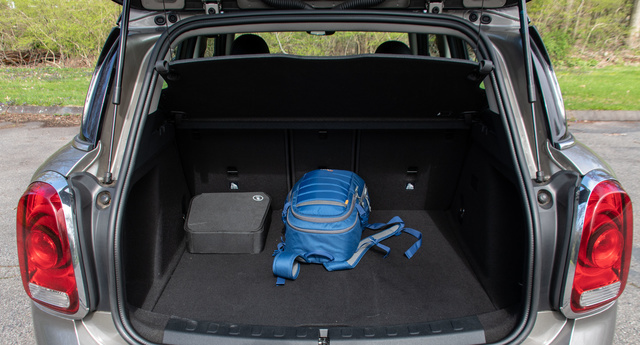 The E Countryman reduces total cargo volume by two-tenths of a cubic foot (to 47.4) and rear headroom by 1.2 inches (to 36.3). This is unnoticeable. The cabin is airy, spacious, and easily fits four adults. Visibility is superb in all directions, and the firm seats (leatherette and manually adjustable on our car) were supportive over long drives. In place of a tachometer is an energy gauge. When the vehicle is in EV mode, a variable series of yellow bands appear to show how far you can dip into the throttle before the gas engine fires up. It also shows when the battery is charging. During maximum acceleration, an “E Boost” light at the top of the gauge proves the MINI is charging ahead at full boil. 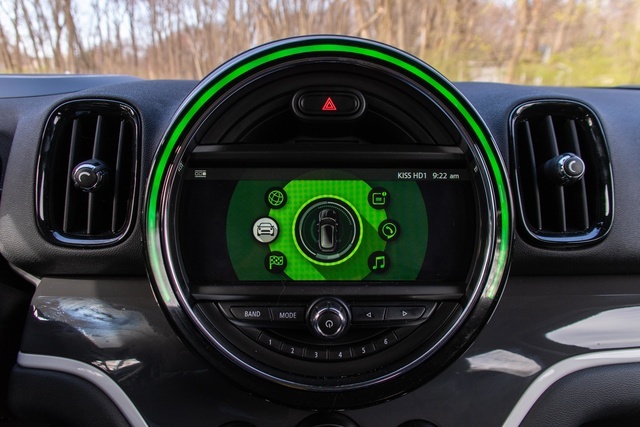 A small LCD in the tachometer will cycle between battery charge levels, estimated EV miles, and more—but it’s really too small and requires too many button presses to see all the information. As crazy as the dash looks, it actually makes sense. The climate controls, audio, and infotainment controls work just like in a BMW with many hard buttons, which makes adjustments simple and intuitive. An arced LED surrounding the 8.8-inch touchscreen (a 6.5-inch screen comes standard) changes color depending on the chosen function. It’s an expert in mimicry. When raising the stereo volume, it will trace the level between the minimum and maximum. Adjust the temperature, and it turns into a giant dial to show blue and red zones, with your temperature indicated by a white band overlaying them. Best of all is how it illustrates the parking sensors. When this big LED fades from white to yellow to a flashing red, parking couldn't be any easier unless you asked the MINI to park itself. Which it can. 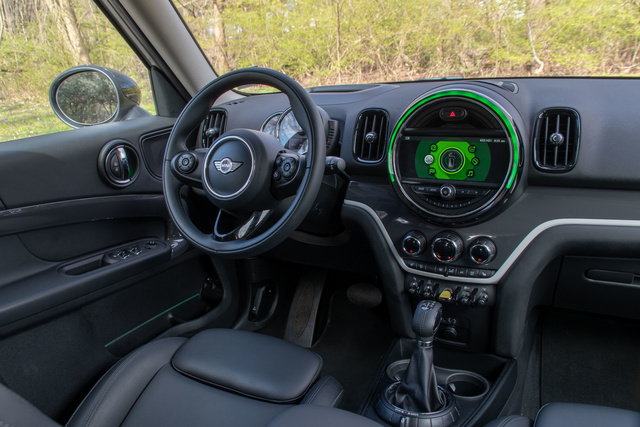 Our car’s Technology package ($2,250) included navigation with traffic, Apple CarPlay, wireless device charging within the central armrest, a head-up display, automatic parallel parking, and two Bluetooth tracking tags called Find Mates. They’re battery-powered fobs you can clip onto a bag or your keychain and pair with a smartphone running the MINI Connected app. Stray too far from the Find Mate, and it will send an alarm to your phone. It’s great should you ever forget something. Plus, you can locate the tags on a map. The app also lets you send directions to the car’s navigation system. But voice recognition isn’t as fast or accurate as it is in BMW models. The system also won’t connect to the Internet to search for points of interest. However, you can run third-party apps from your phone, like Pandora, Spotify, and Amazon Music, through the infotainment system. It can also import your calendar. Adjusting settings is simple, thanks to a built-in owner’s manual, animations of car functions, and a touchpad atop the rotary dial. The navigation, when zoomed far out, highlights the next turn on the route with a bubble overlay pointing to the exact point. It’s all useful, high-resolution, and easy. The Countryman has never been rated by the National Highway Traffic Safety Administration (NHTSA). However, the 2018 model scored the highest Good rating in all five crash tests conducted by the Insurance Institute for Highway Safety (IIHS) and scored two out of six points for forward-collision prevention, which is optional. No driver assists come standard. Forward-collision alert, auto-braking, and lane-departure warning come with Active Driving Assistant ($1,000), which requires several thousand more in options. The 2018 E Countryman costs $36,800. With the Technology package ($2,250), silver paint ($500), and SiriusXM radio with a one-year subscription ($300), our tester totaled $40,700 with an $850 destination charge. Adding a panoramic moonroof requires the Fully Loaded package ($6,000), which makes this car as expensive as a BMW. A $4,001 federal tax credit may ease that burden, as might MINI’s 3-year/36,000-mile included maintenance. But there’s no denying the premium required for such minimal fuel economy and performance benefits over the regular Countryman and Countryman JCW models. 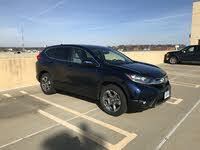 This is a car with premium build quality and a well-engineered hybrid system. It’s just too much of a compromise between a full EV and a gasoline-powered car to fit the needs of most MINI buyers. Like an aging iPhone, the battery doesn't have enough storage capacity to make electric driving truly useful. But for a select few MINI enthusiasts who wouldn’t want anything other than a MINI hybrid, this is it. 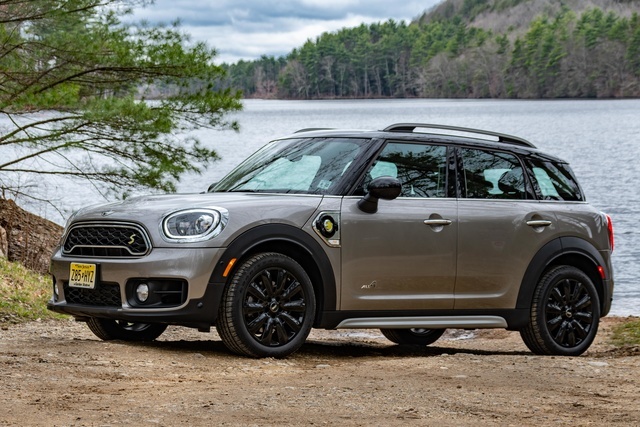 What's your take on the 2018 MINI Countryman Plug-in Hybrid? TheHorror Do you have a thyroid problem, Cliff? Or are you finally gaining the “freshman fifteen”? You’re writing hasn’t matured, but you’re getting a little chubby in your old age. 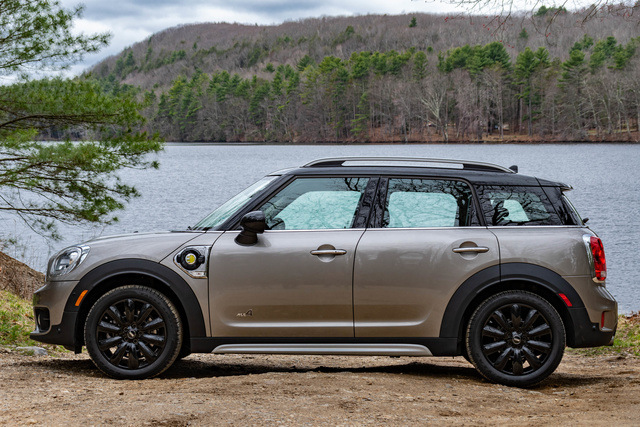 Have you driven a 2018 MINI Countryman Plug-in Hybrid? Enter your zip to see incentives for a new Countryman Plug-in Hybrid in your area. CarGurus has 257 nationwide Countryman Plug-in Hybrid listings starting at $28,495.